I bet you are all curious to know who the fortunate is… take a look at the video and discover it! Hi everyone, Hola a tots… i a totes, sobretot totes ;D, Hola a todos y a todas. Exceptionally, this post will be in Catalan, Spanish and English (the 3 languages I know) because you’ve been all so nice to me, sending over your Omelets; that I feel I owe you this. Therefore, I will not talk as much as usual… just want to shout out loud THANK YOU!!! For participating, for sending wonderful creations, for being out there! Excepcionalment, aquest post serà en Català, Castellà i Anglés (els 3 idiomes que conec) perque heu estat tant enrotllats amb mi, enviant les vostres truites, que sento que us ho dec. Per tant, no parlaré tant com acostumo… només vull dir-vos cridant MOLTES GRÀCIES!!! Per participar, per enviar magnífiques creacions, per ser allà fora! Excepcionalmente, esta entrada será en Catalán, Castellano e Inglés (los 3 idiomas que conozco) porque os habeis portado tan bien conmigo, enviando vuestras Tortillas, que creo que os lo debo. Por lo tanto, no me enrollaré tanto como suelo hacerlo… solo quiero gritaros ¡¡¡MUCHAS GRACIAS!!! ¡Por participar, por enviar magníficas recetas, por estar ahí fuera! 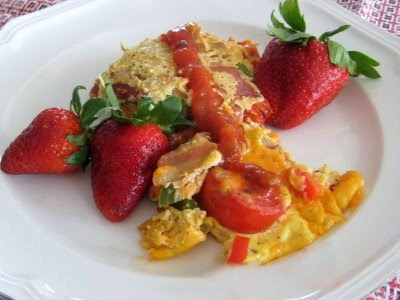 Here you have the Round-Up for this first BlOg yOur Omelet Contest. I hope you enjoy it! Please if you don’t see your recipe in the round-up let me know and I will immediately arrange it. Aqui teniu totes les receptes de la primera edició de BlOg yOur Omelet. Espero que ho disfruteu! Siusplau, si no trobeu la vostre recepta, feu-m’ho saber i ho corretgiré ràpidament. 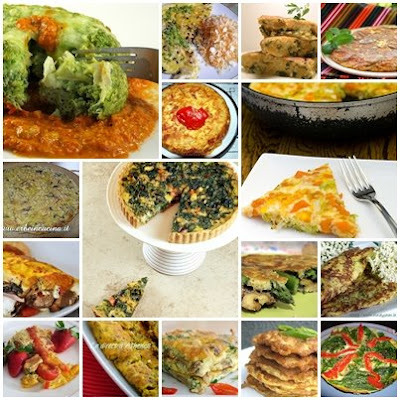 Aqui teneis todas las recetas de la primera edición de BlOg yOur Omelet. Espero que lo disfruteis! Por favor, si no encontrais vuestra receta, decídmelo y lo arreglaré en seguida. And now let’s see your omelets! I ara anem a veure les vostres truites! Y ahora veamos vuestras tortillas! 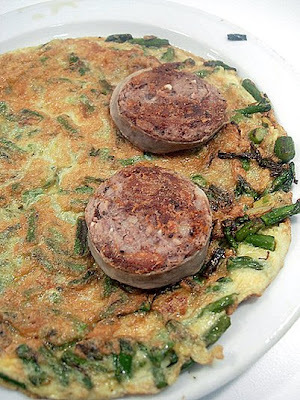 Dolça from No tot són postres a la cuina has cooked this omelet with Asparagus and Green garlic. Yummy! 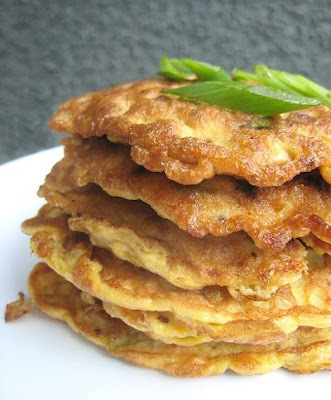 Gràcies Dolça :D Michelle from GREEDY GOURMET presents her Sweet potato & Leek tortilla! So colourful and tasty. 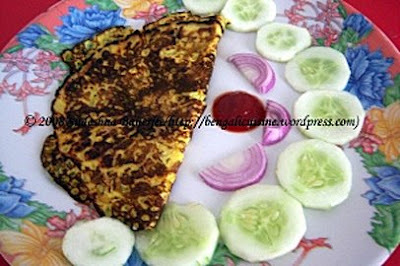 Thanks Michelle :D.
Sudeshna from Bengalicuisine has named her omelet Put everything in omellet! What will we find inside? 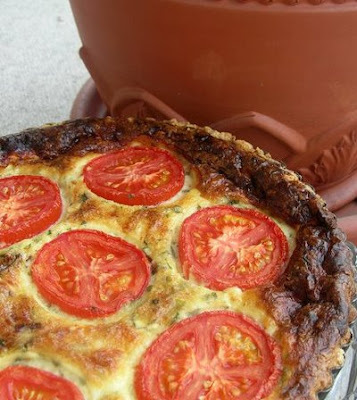 Thank you Sudeshna :D.
Val from More than a Burnt Toast has sent this delicious Quiche or Cheese & Tomato Galette. Beautiful! 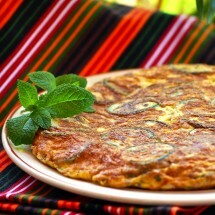 Thank you Val :D.
Mar from Sèsam & Comí has prepared this delicious omelet with Apple, onion and Iberian Ham… Mmmmmm. 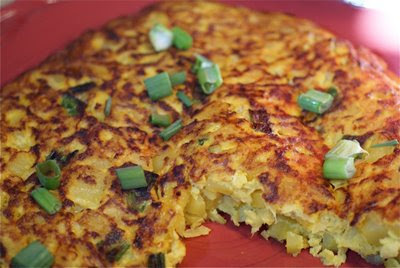 Gràcies Mar :D.
Vicki from Tapas Tutor has sent her Potatoe Saffron Omelet. I love it when there’s a story behind. 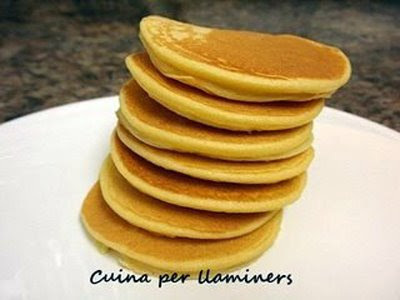 Thank you Vicki :D. Mercè from Cuina per Llaminershas builded up a delicious statue out of Potatoe Omelet’s pancakes. Lovely idea! 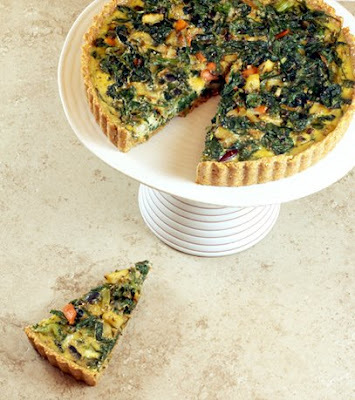 Gràcies Mercè :D. Bee and Jai from JUGALBANDI have sent this Clean the Fridge Quiche! A master piece! Thank you guys :D.
Marta from BARCELONA-MALAGA Cooking! 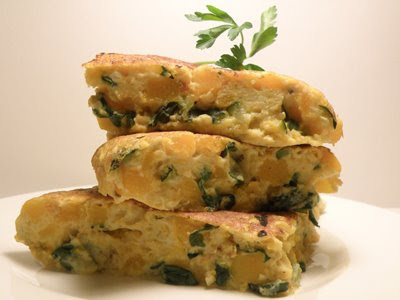 wants to share with us her Tortilla de Calabaza y Albahaca, where calabaza is pumpkin and albahaca is basil… can you imagine? Mmmmm. 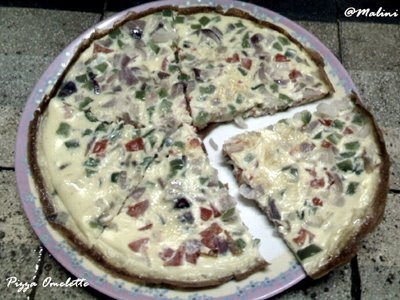 Gracias Marta :D.
Cara from Cara’s Cravingsis showing the first frittata in the contest… lovely ingredients. 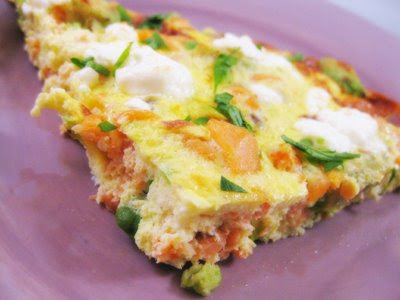 Smoked Salmon, Avocado, and Goat Cheese Frittata. 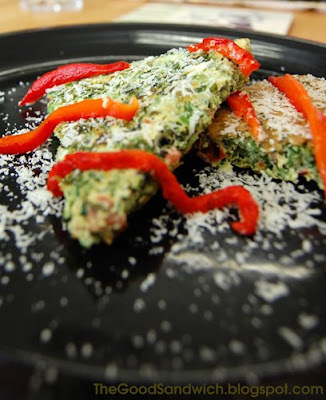 Thank you Cara :D.
Brady from BRANNY BOILS OVER has cooked this colourful Spinach Potatoe Frittata. Wonderful isn’t it? 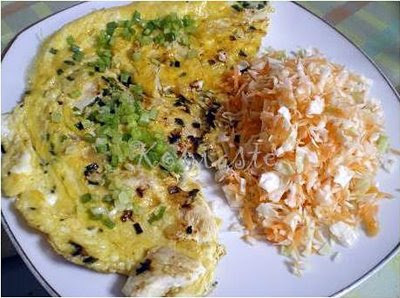 Thank you Brady :D.
Ivy from Kopiaste shows us this original and savory omelet made out of Chicken, Tarragon and Chives. 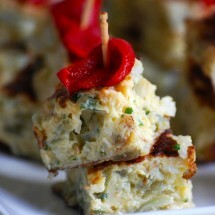 Thank you Ivy :D. Meghan from Kitchen Notes has cooked her Potatoe and Leek Frittata, I would love to have a bite… what about you? 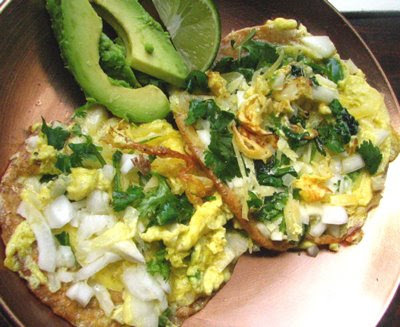 Thank you Meghan :D. Allison from Local Lemons has prepared this beautiful and healthy Tortilla Omelet. I would have it for breakfast, lunch or dinner… Yum! Thank you Allison :D.
Amy and Jonny from We are never Full have the key to become a Champion: try their Truffled Omelet and be ready to face a hard day! 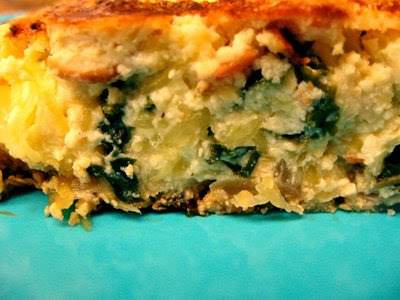 Thank you guys :D.
Susan from Food Blogga has prepared this nutritious breakfast for her mother: Spinach and Ricotta Frittata. Delicious! 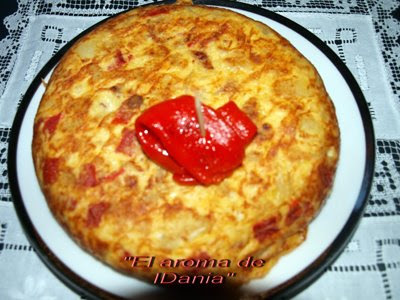 Thank you Susan :D.
Idania from El Aroma de Idania has cooked her Potatoes Omelet with Piquillo Peppers… Mmmm, so good! Thank you Idania :D.
Giz from Equal Opportunity Kitchen has prepared her Omelet with panceta, cheese, tomatoes and red peppers. This will get me going in the morning ;D. Thank you Giz :D.
Joan from Foodalogue shows us her super original Individual Spinach & Artichoke Omelet Muffin. Really nice! 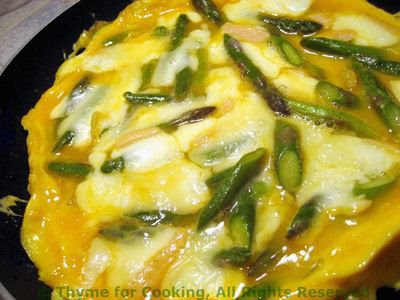 Thank you Joan :D.
Katie from Thyme for Cooking wants to share her seasonal omelet: Asparagus Omelet. A classic and a winner! 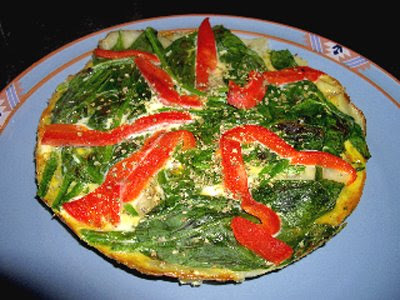 Thank you Katie :D.
LilSis from BigSis LilSis has cooked this Garden Omelet: healthy, savory and colorful. Thank you LilSis :D.
Js and Ts from Eating Club Vancouver have prepared and old recipe from their Yaya… Amazing! Golden Egg Torta. Thank you guys :D.
Malini from Khana Khayana with Malini has sent not only one, but two entries! 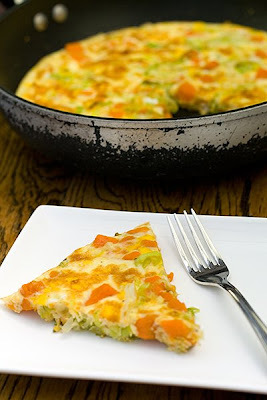 Egg Foo Young and Pizza Omelet… Both sound delicious! 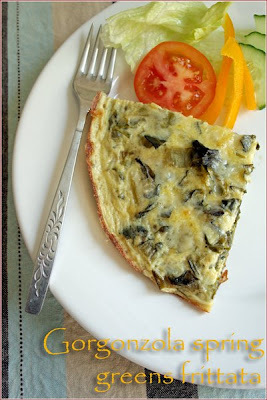 Thank you Malini :D.
Taste Traveller from The Good Sandwich is offering us her Weekend Frittata: a healthy choice! 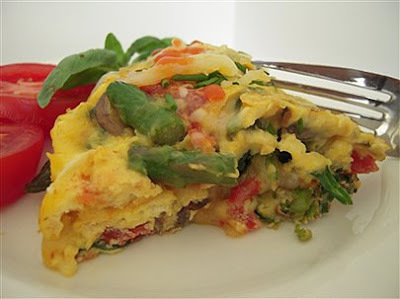 Thank you Taste Traveller :D.
Janet from Gourmet Traveller 88 has prepared this Soufflé Omelette. Isn’t it fun to play with both concepts? Thank you Janet :D.
Peter from Souvlaki for the Soul sends his frittata made out of Mushrooms, Zucchini, Ham, Pesto and Parmesan Cheese. So savory! 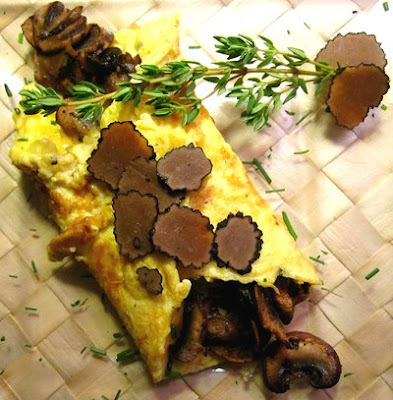 Thank you Peter :D. Cindystar from Cindystar has sent this fantastic Omelette ai Fiori di Sambuco e semi di Papavero which means elder flowers and poppy seeds. So different and original. 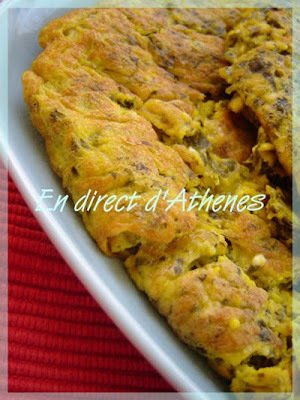 Thank you CindyStar :D. MaryAthenes from En Direct d’Athenes has this interesting proposal: Omelette à la Feuille de Vigne (vine leaf), a very exotic omelet! 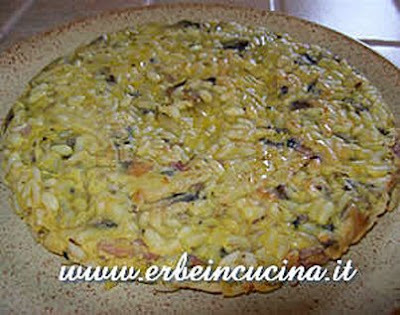 Thank you MaryAthenes :D.
Graziana from Erbe in Cucina wants to share with us her awesome Rice with Thyme Omelet! So delicious! 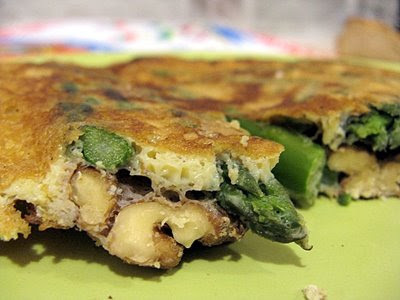 Thank you Graziana :D.
Ila from Bread & Wine has cooked an amazing Walnut and Asparagus omelet. What a combo! 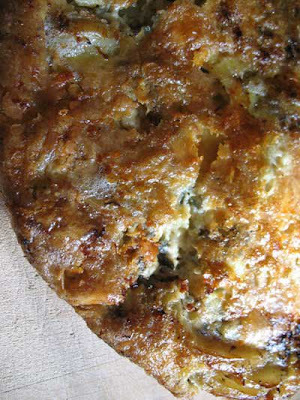 Thank you Ila :D.
Lisa from Lisa’s Kitchen has cooked a Potatoe, Onion and Stilton Frittata. Can you imagine the smell… Mmmmm. 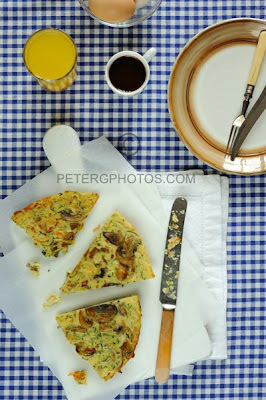 Thank you Lisa :D.
And Jeanne from Cook Sister has sent this beauty called: Frittata with Gorgonzola Spring Greens. So Yummy! Thank you Jeanne :D.
And these are the 33 entries of the Round-up. Thanks again to all participants! It has been a great success only because you joined and participated!!!! 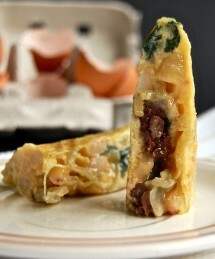 :D. I hope you find the Omelet of your life here ;D. I aquestes són les 33 truites del concurs. Gràcies de nou a tots els participants! Ha estat un exit només perque vosaltres hi heu pres part!!!! Espero que hi trobeu la truita de la vostra vida ;D. Y estas son las 33 tortillas del concurso. Gracias de nuevo a todos los participantes. ¡Vuestra participación ha sido clave para el éxito del concurso! 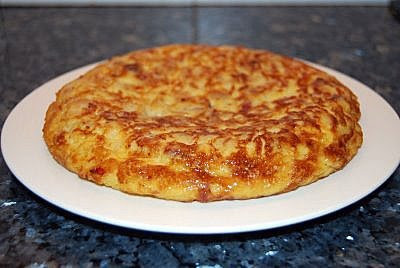 Espero que encontreis la tortilla de vuestra vida ;D.
Since I don’t want to leave anyone outside the contest, I will wait until tomorrow to show who the winner is. This way you will all have time to check if you have been included in the Round-up. So, if you don’t see your entry in this post, please let me know today so that I can add it and proceed with the lottery tomorrow. Com no vull deixar ningú forà del concurs, esperaré fins demà per fer el sorteig. Així podreu comprobar que sortiu en el post. Si no us veieu, siusplau feu-m’ho saber i ho arreglo ràpid. Demà diré qui ha estat el guanyador. Podría suceder que alguien quedara fuera del sorteo por error… han habido tantas entradas… así que esperaré a mañana para hacer el sorteo. 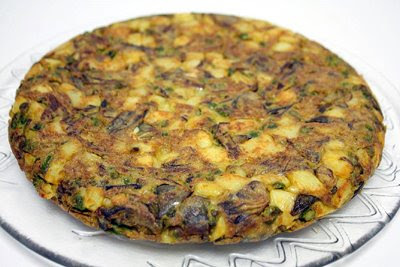 Si no encontrais vuestra tortilla en la lista, por favor, decídmelo y lo arreglaré en seguida. Mañana saldrá el ganador. Quina emoció!!! son totes fantasticas! 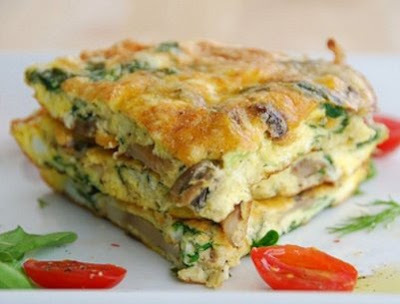 Hi Nuria, thanks for hosting this food event, it’s great to see the round up and the unlimited possibilities of egg omelettes : ) Have to come back for ideas whenever I want suggestions of making omelettes ! Aiiiii que guay quina ilu són totes fantàstiques sort que fas sorteig perque si haguessis d’escollir la millor tu … buffffffffff quin problema, felicitats a tots els companys !!! I never thought a parade of omelets could look so good! Congrats to you Nuria for talking the time and immense effort to organize the round-up. wow, nuria… i’m impressed! this round up looks great and there was a lot of hard work put into it (esp. on your part. thanks to you for getting this done – it really is great to see something like the humble omelet get some love. An outstanding round-up…tanta gente, tantos juevos! Thanks for doing this Nuria. Well, Nuria, I picked a bad month to be on hiatus! I’m so glad I just ate breakfast, or this post might have made me eat the computer. What a lovely round-up you have! Òndia Núria, quin be de Déu de truites, fa gig veure-les i ja no dic res d’anar-les fent i tastant-les. Enhorabona per l’iniciativa. So many ideas ! So many recipes!! Very nicely done Nuria – such a vast array of flavours and a fun event!! Thanks for hosting. What a great round up, Nuria! No idea which one should be the best, they all look wonderful and unique! Thanks so much for hosting this event. Lots and lots of great ideas here! That’s a wonderful round ! Thanks a lot for having organised it ! Thanks for hosting this event. You ended up with a Great Roundup! I had fun participating! I posted a reminder on our blog today to have everyone check out the roundup! Felicitaciones Nuria! 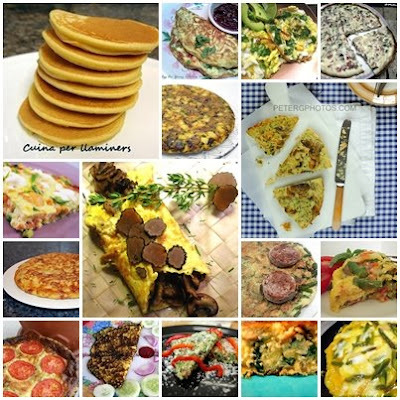 an outstanding round-up…Thanks for hosting and also commenting on my blog…..
Every omelet is so different but all of them sound great. I made another omelet which was the best tasting omelet I ever ate but I had problems with the memory card of my camera and lost some photos, including these ones. I will have to recreate it again. A beautiful round-up, Nuria! The event was a great challenge and turned out to be a great success! Thanks for the chance to participate, all the best! Thank you for organizing and hosting this wonderful event! 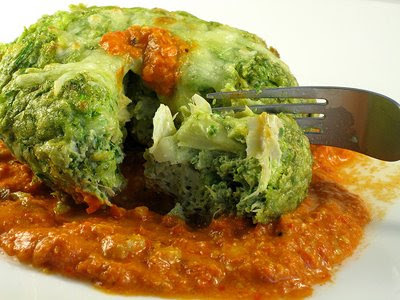 So many amazing, intriguing, and different recipes abound here! Excellent roundup Nuria! Tri-lingual too – very impressive. Quin gran recull de receptes de truita!!! :) Fantàstic Núria!! Yum! I can’t wait to try some of these recipes out! I’m glad I picked up some fresh eggs at the farmers’ market this weekend. 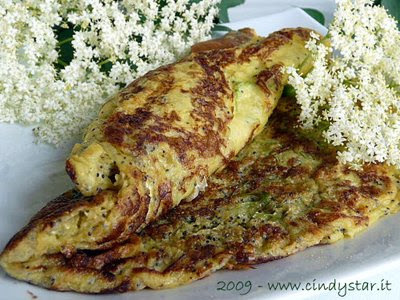 I cannot believe all these amazing omelet recipes! I have to print this and keep it handy for inspiration. Thanks for hosting this great event. Núriaaaaa!!!! però quin post més maco has fet nena…a veure per on puc començar?? la teva veu m´ha agradat molt, què dolça!!! 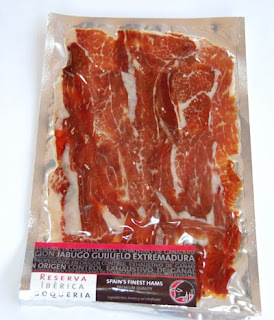 i m´he d´apuntar TOTES les receptes de truita que has recopilat perquè n´hi ha algunes que tenen un aspecte deliciós! !…per a mi ha estat un honor poder participar-hi, espero poder-ho fer en futures edicions i…enhorabona al blog guanyador!!! petonets!! It has been lovely to have had the opportunity to participate in this fantastic parade of omelettes!!! Thank you for taking the time and effort to prepare it all. You’ve done such a great job with the round up!!!! Hey, I’m ready for your next event!!!. OMG, you are cute. thanks for organising this, dear nuria. Nuria, it was fantastic to be part of your wonderful event! Thank you for all your effort…all the contributions are amazing! Que beuno que tuviest buena respuesta a este concurso!!! Yo llegue un poco tarde para participar! Pero se ven deliciosas todas estas entradas, no puedo esprar a probar algunas en mi cocina. Gracias Nuria! Thank you so much, Núria! The package came yesterday & I was so excited! I already posted the pictures. Just to let you know, I will be sharing it with friends & family! Thanks again!!! So many varieties of omelets to choose from! 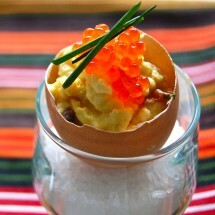 With taste and health in mind, we will never get bored with eggs! 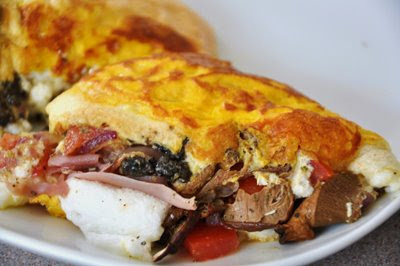 Thank you for sharing your ideas on omelets to inspire others that having eggs for breakfast or anytime of the day is not only nutritious but also a delight!!! < Have you got Eggs? 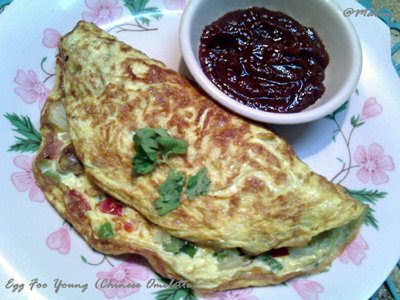 Then, BlOg yOur Omelet!!! Have you got Eggs? 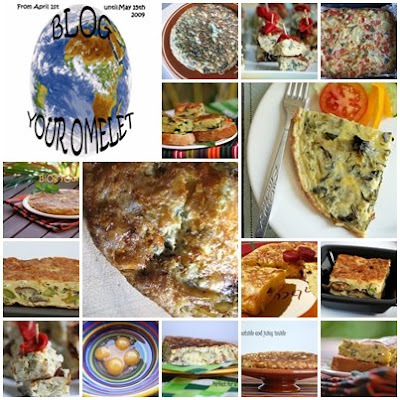 Then, BlOg yOur Omelet!! !